Those of us with dyslexia know (as do parents and teachers of dyslexics) that one of the frequent hallmarks of dyslexia is that accomplishing anything requires sustained levels of intensive effort with slower-than-usual-appearing results. As I’ve discussed before (see my archived blogs on dyslexia) some of the greatest frustrations with this condition revolve around the extreme levels of effort required to perform seemingly simple tasks. If you are dyslexic, or love someone who is, how can you help yourself or that special someone keep doggedly showing up for your (their) best life? Enter grit. Sure sounds like the fabric of life with dyslexia to me. Are you teaching your children to have grit? This was one of the passages of the book that resonated with me the most, because an effortful life is something I really relate to as a dyslexic. In other words, it takes greater-than-normal effort to develop skill and eventually achievement with dyslexia because reading and writing never become automatic, and everything always, always, always takes much more time than I want it to. Accepting this reality, even learning to embrace it, is part of our growth as human beings and is one of the key coping skills to teach our young ones who are just starting to get to know their learning challenge. Duckworth then describes four psychological assets we can cultivate (and help our kids cultivate) to get the grit on. Interest: If our passion is to prove sustainable, it needs to be deeply meaningful to us. We need to get fired up about it. There may be aspects of it that are a little less interesting, engaging, or glamorous, but we need to have “an enduring fascination and childlike curiosity” about our pursuit. In raising readers, one of our biggest opportunities is creating a love of story, and another is reading books to your child that offer heroes of self-reference. These two tools can make all the difference in helping struggling readers develop a passion for reading. Practice: Duckworth refers to Anders Ericsson’s research on deliberate practice to show that one key aspect of grit and its attendant perseverance is the ability to show up every single day with a winning attitude. 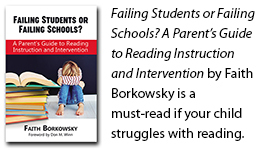 “Whatever it takes, I want to improve!” Are you reading to your child every day, no matter what? Hope: Duckworth says that hope defines every single stage of grit. It lives in the unshakeable knowledge that we have the ability to achieve what we set out to do when we keep showing up. Are we assisting our struggling readers to build hope in themselves by demonstrating that we believe in them? Duckworth quotes author James Baldwin, “Children have never been very good at listening to their elders, but they have never failed to imitate them.” We can each ask ourselves how well we are demonstrating grit for the tender, impressionable youth in our lives. In the Duckworth household, they have what she calls “The Hard Thing Rule.” Everyone in the family picks something challenging that they’re committed to mastering. And then they work on it every day. No quitting allowed. She states, “Grit depends on a different kind of hope. It rests on the expectation that our own efforts can improve our future. ‘I have a feeling tomorrow will be better’ is different from ‘I resolve to make tomorrow better.’ The hope that gritty people have has nothing to do with luck and everything to do with getting up again,” after a failure, struggle, or fall. Duckworth quotes an old Japanese saying, “Fall seven, rise eight” to encapsulate what grit looks like in practice. May we all rise one more time, and teach our children this invaluable trait.